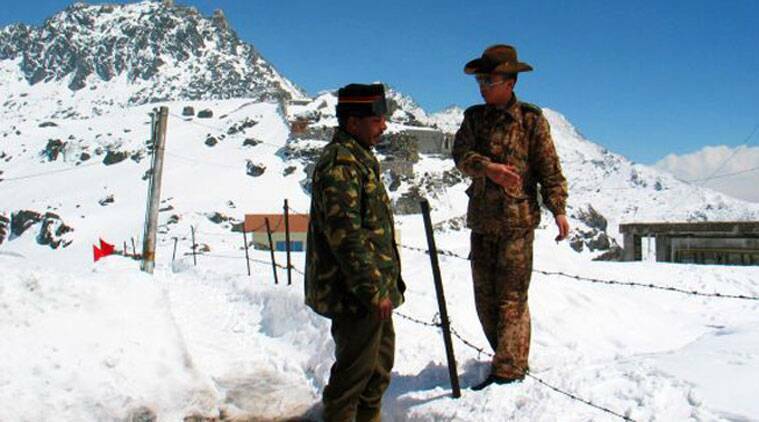 On that long border on the roof of the Earth, the Chinese army is stronger and better resourced than the Indian Army. The Chinese approach to borders was well described by Henry Kissinger in his massive book on China. S K Patil, a towering Maharashtra politician of his generation, once said, “When in Rome, behave like a Rumanian.” There is humour and wisdom in his malapropism. Narendra Modi seems to have decided that when dealing with the Chinese, it is not a bad idea to do what the Chinese least expect: be like the Japanese. The Chinese approach to borders was well described by Henry Kissinger in his massive book on China. They advance and thrust inside the other nation’s territory which they dispute. Then they unilaterally withdraw. It is as if the incursion has been erased. But a point has been made that they could, if they wanted to, occupy the disputed territory. They just choose not to do so. This is what happened during the two bruising encounters in 1962. The Indian side thought it could “throw the Chinese out”, as Pandit Jawaharlal Nehru declared. The outcome was an overwhelming show of strength with the Chinese humiliating India (as I well remember) and then adding insult to injury by unilaterally withdrawing. This pattern of thrust and retreat has been going on at the China-India border again lately. It is not the Indian approach, say, at the LoC in Kashmir, though it may be worth trying. India could take the Chinese approach to the border dispute with Pakistan and I am sure earn dividends. It is a way of being aggressive without really saying so. When he was fighting the general election, Modi was very mild, indeed emollient about his Pakistan policy. But he made belligerent noises about the Himalayan border. Since his decisive victory, he has been moderate on the policy at the LoC, though the rhetoric is aggressive. As far as the India-Pakistan border dispute is concerned, the new policy is much like the old. It is China which is testing Modi’s resolve. Even as President Xi Jinping was enjoying the khaman dhokla and garba raas in Ahmedabad, Chinese troops made repeated incursions into the Indian side. This showed that either Xi was hypocritical in his declaration of friendship, or that the People’s Army was beyond his control. On that long border on the roof of the Earth, the Chinese army is stronger and better resourced than the Indian Army. In a serious confrontation, it would be difficult for Indian soldiers to stand their ground. The government has made a declaration of better preparation and more resources. But that will take time. As of now, India knows it cannot win an open war at that altitude and across that expanse of space. This may explain why India has suddenly done something unprecedented in its foreign and defence policy thus far. Cooperating with Vietnam in exploring offshore oil and offering some naval assistance to police the oil wells are as open a show of sticking a tongue out at China. The dispute between Vietnam and China in the South China Sea has been ongoing for a long time. Other nations in the area, such as the Philippines, have challenged China’s interpretation of its sovereignty as granted by the Law of the Sea. This is a hot topic. India has been helping Vietnam, and China has objected. But this deliberate move to renew assistance to Vietnam cannot have been made in a fit of absentmindedness. This has to be a strategic move to tell China that it has more than one border where its tail can be tweaked. Indeed, I would conjecture that this is India’s new way of adopting China’s tactics against China itself. India well knows that China has a quarrel with Japan in the northern reaches of the same waters. This has galvanised Prime Minister Shinzo Abe into moving Japan out of its pacifist constitution as much as he can without actually amending it. Modi gets on with Abe. Of course, it will be officially denied that the move to help Vietnam has any strategic significance. But the timing of the move is also interesting. Modi has been to the US and talked with Barack Obama, who has declared a Pacific tilt to American policy. So here is a guess — it is Abe plus Obama, both friends of Modi, who are happy with his Vietnam policy.